If you are looking for a good value, reliable plumber in Altrincham them we can help. JC Plumbing has been operating in Altrincham for over 10 years. 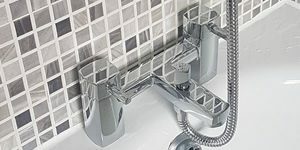 We work with domestic customers on small repairs such as leaky pipes, dripping taps and blockages through to full bathroom redesigns, refurbishments and installations. We also work with commercial customers on new house builds, shop refitting, industrial installations and fault findings. For more information or to book a visit from our plumbers in Altrincham, call us on 07493 500188 or e-mail us via our contact page.